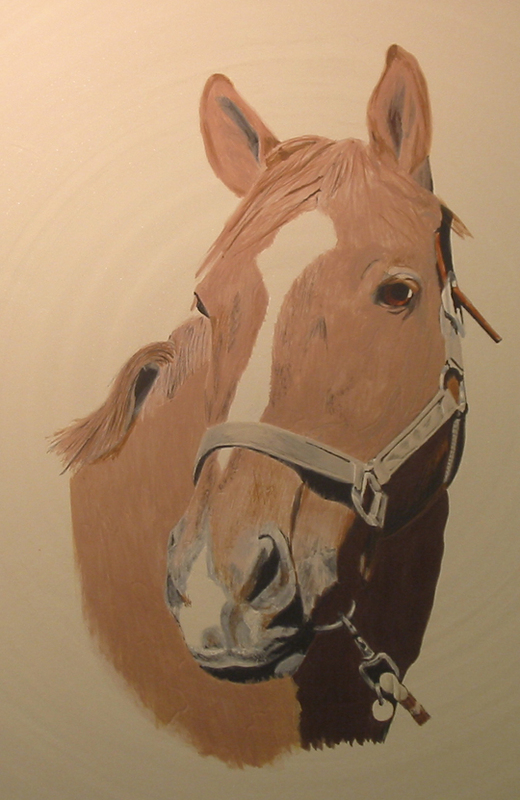 A Portrait of Axel the Horse. 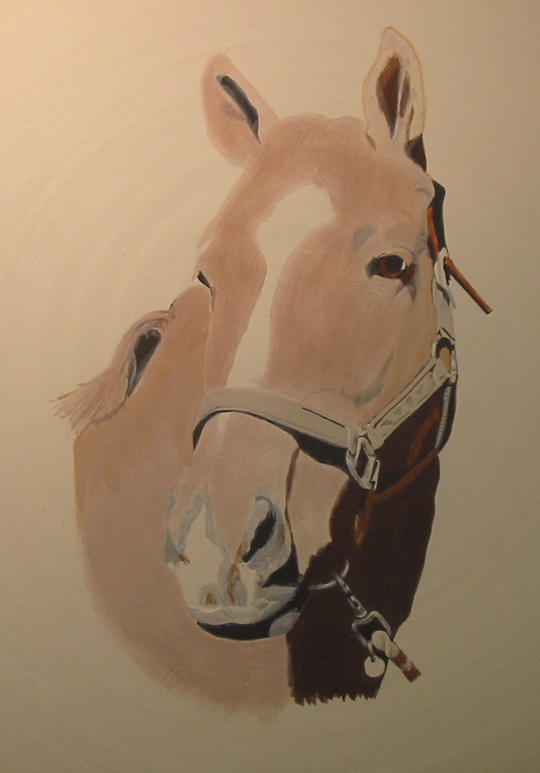 Now that I have shown how a plate is made, I’ll show you the sequence of a horse portrait. After the bottom of the plate has been trimmed, I apply a white clay or slip to the rim and center. I will have to let the plate dry for several days under plastic before I can scrape away the white slip to do the lettering, in this case the name Axel. 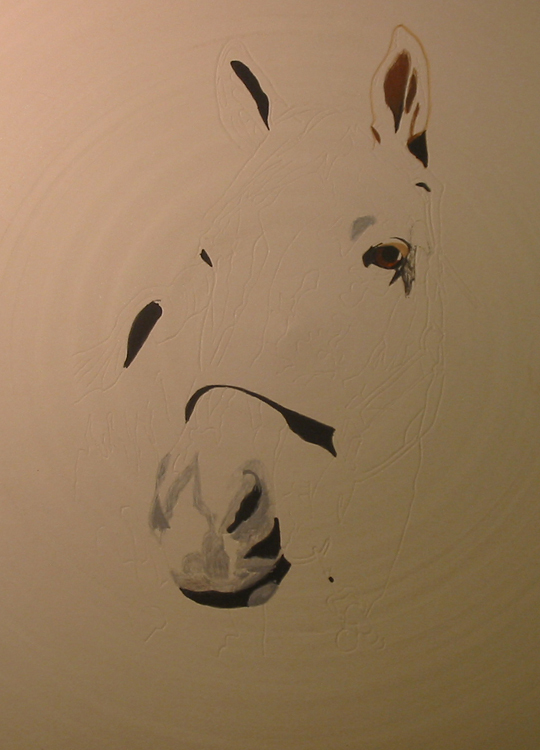 I then draw the horse in the center. After the plate has been fired once to 1750 degrees F. (called the bisque firing), I paint the portrait with underglazes. These are colored clays that are ground very fine and can be thinned with water and used just like watercolors. The beauty of this process is that the ceramic colorant is permanent. 500 years from now Axel will look exactly the same. First I paint the eyes and all the darkest darks. Next comes the building up of the other colors.